Just installed Windows using boot camp. I downloaded the drivers using boot camp. After installing the display says: Mobile PC Display. I have 15 inch Macbook Pro. 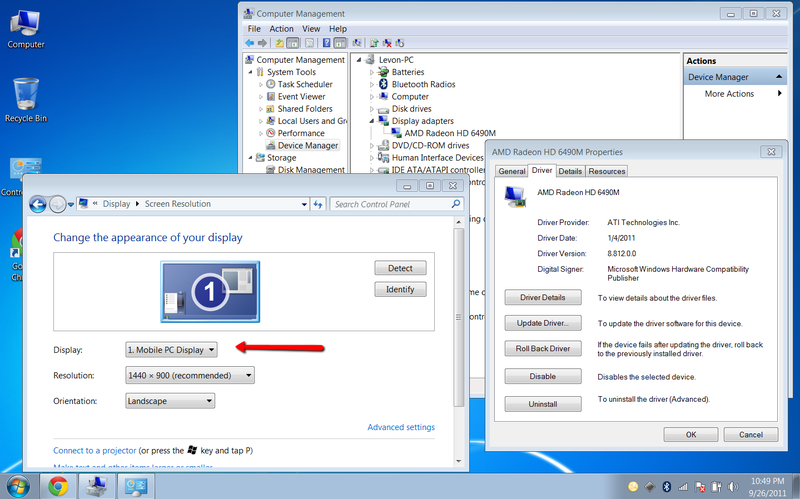 What display driver do I need to get the right resolution? Update: Okay. My bad. Went to Genius bar at apple they told me that Mobile PC Display is how Macbook sees your display on Windows. Resolution is 1440 x 900 what my resolution on Macbook. There is no missing driver after all. Your MacBook has a AMD Radeon HD 6490M video card per your properties screen. You'll need to download the driver from AMD's website. For your display driver you might need to update your Bootcamp drivers which you can get from Apple's Boot Camp Support Drivers. Not the answer you're looking for? Browse other questions tagged macbook windows bootcamp display resolution .